Its been two months since my last update and the tank looks great! I installed a three pump dosing unit in June for calcium, alkalinity and kalkwasser. 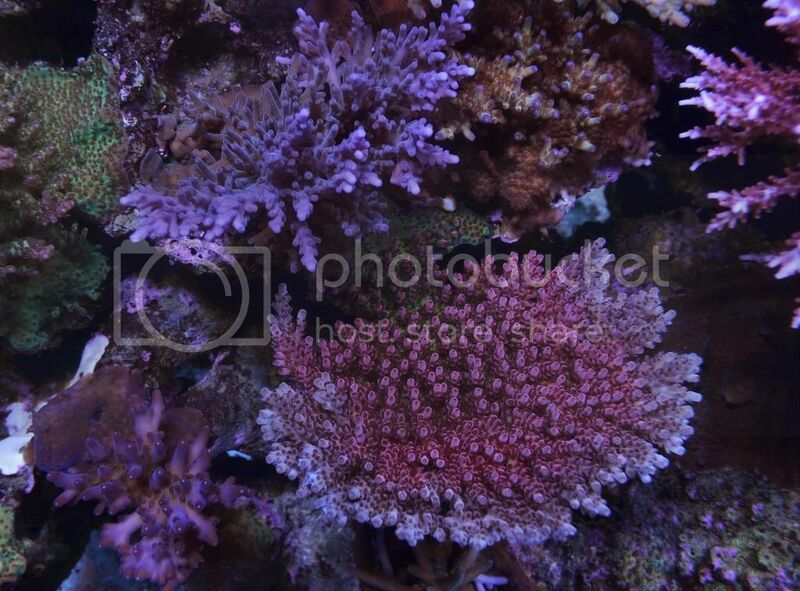 The corals grow much faster with the stable parameters. I added one liter of DeNitrate rocks to help lower my nitrate from 25ppm but after a months use they have not dropped at all. Today was the first water change in two months, I have been frustrated with the tank and took a step away from the tank but now I am back. I am currently running two (8 month old) 250 watt Phoenix 14K metal halides with Lumatek dimmable ballasts on HQI mode and two (two month old) 54 watt UVL Super Actinic T5's.